The high-tech Obermeyer Straight Line Insulated Ski Pant is designed for pros but perfect for any skier who wants a pair of pants that perform as hard as they do. Not only are they totally waterproof and fully insulated, but they're also designed with articulated knees for a more natural and comfortable fit. The Straight Line pant has reinforced scuff guards on the hems to ensure they'll last season after season, even with heavy winter wear. The 40g Thinsulate® insulation is warm enough to wear alone on average days or layer during storms. An adjustable waist with lumbar support encourages healthy and comfortable movement. Zippers on the ankles make it easier to pull these on or off over boots. "Inseam? Do these come in "Long?"" 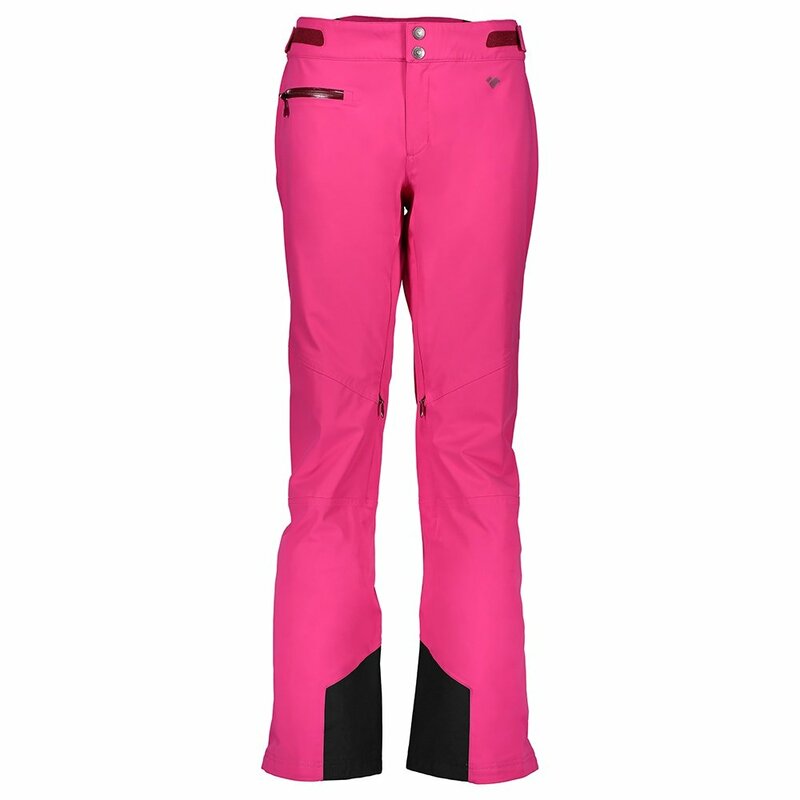 "The Obermeyer Straight Line Ski Pants are not available in long. Click HERE to view other Obermeyer pants available with a long inseam. Hope this information helps!" "Thank you for your inquiry. The regular pant inseam is between 29" to 32" long and is recommended to those between 5'4" to 5'7" tall. We hope this information helps! " "Do these pants sit at the waist or below? I’m looking for a pant that has a higher back for warmth"
"Thank you for contacting us. The Obermeyer Straight Line Insulated Ski Pant sits above the waist, It also has a waistband pocket that you can hold hot hands warmer for added warmth. We hope this information helps!"